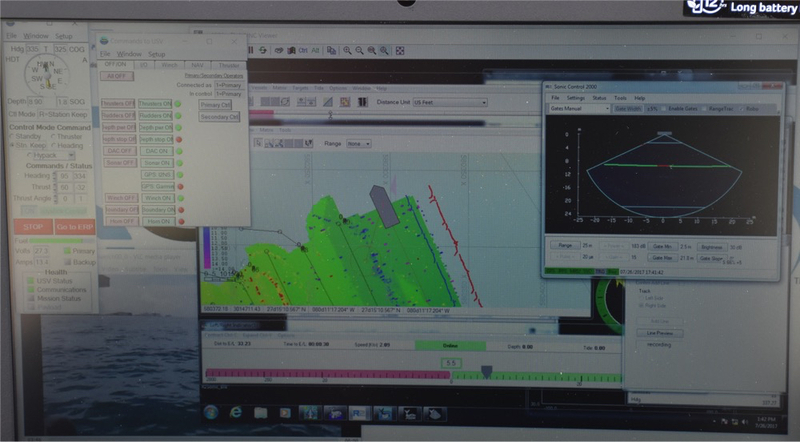 The SeaRobotics control software allows you to setup profiles either to a set depth or distance off the bottom (from the multibeam nadir). It also enables the profiles to be performed at a set time interval or just manually. We set it up for 1 metre from the bottom and pressed go. The ASV was put in standby mode so that the cable would not become tangled but it could also have been put in auto heading mode with the ASV facing downstream so that the winch cable would payout away from the ASV. All worked seamlessly. 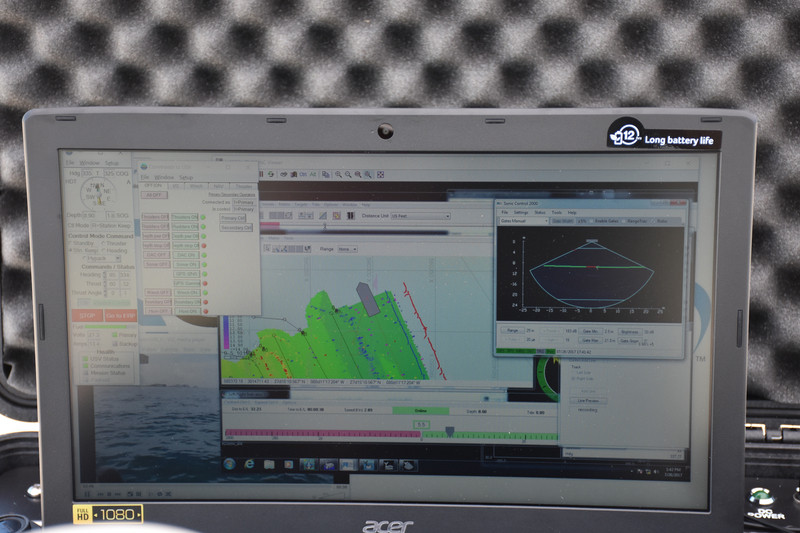 I’ll be blogging about the tests I’ll be conducting in the next couple of weeks followed by the first truly autonomous, hydrographic survey on the 20th September!